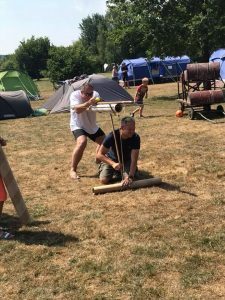 Kim Pack have had a fun filled Father and Cub camp this weekend at Hopehill Campsite in Meopham. 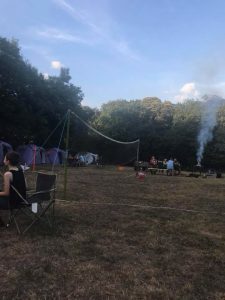 They were blessed with glorious weather for camping. 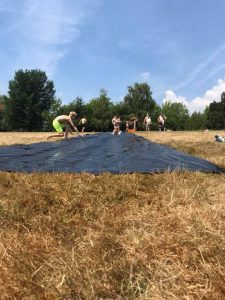 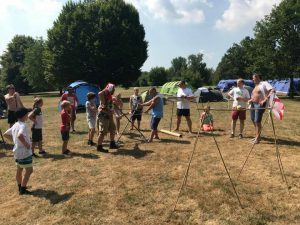 Over the weekend they slide down home made water slides, made Dutch arrows, competed in some problem solving games against each other and even had a chance to watch the football! 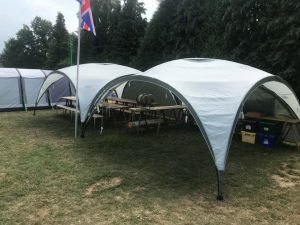 Everybody had a brilliant weekend – thanks to all the Cubs for being so well behaved, the Fathers for their enthusiasm and most of all thank you to the leaders who organised such a great camp.